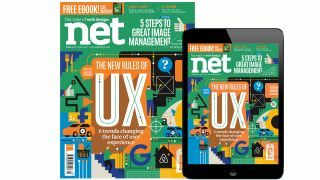 Discover how UX is changing, get started with Craft CMS and download a free CSS ebook in the new issue of net – out now! In recent years voice-based interfaces have taken off, a myriad of new design tools have sprung up, smartphones have all but taken over from PCs, and virtual reality has made its way into the mainstream. With these progressions, the discipline of UX is changing. In issue 291 of net magazine, the team asked Kenny Chen to dig into what UX looks like today, and the new rules you should be taking notice of. Readers will get an ebook of Tiffany B. Brown’s CSS Master, totally free! In it, she explores cutting-edge CSS features, tools to improve your workflow, complex layout techniques and much more, to help you write better, more efficient CSS. In the projects section, you’ll find the five steps you need to follow to put together an effective image management strategy, how to create a 3D scene using A-Frame and Vue.js, and an introduction to the ever-popular Craft CMS.